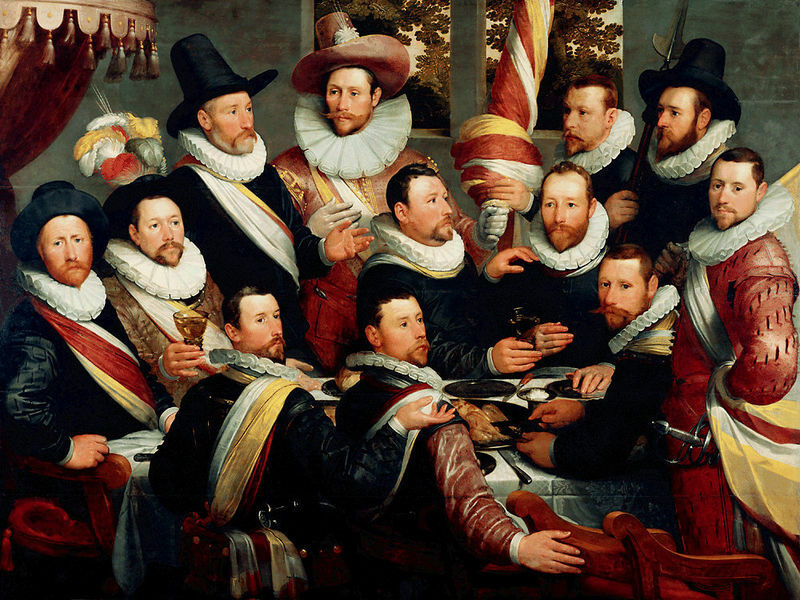 Banquet of the officers of the St George Civic Guard was Frans Hal's first main group portrait and it was also the first epic civic guard canvas in a new period of Dutch painting. Alongside public leaders, and charitable and professional associations, the civic guard societies commissioned many group portraits. Civic guards had existed in the Netherlands since the 13th century and had served to help emancipate towns and cities from feudal rule. The Guard's role was to protect Holland's new prosperity from invasion and only the wealthy could become members. Members were unpaid but defended the Netherlands with both pride and patriotism. The officers depicted in this canvas had taken part in the defense near Houbraken and aided the troops at Breda when it was under siege by the Spanish troops. They were about to retire from their duties and were honored with a group portrait. 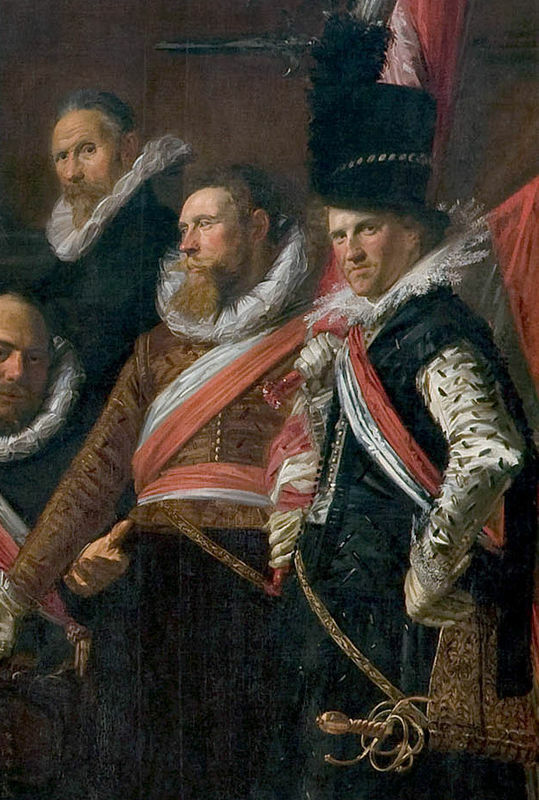 Hals was commissioned for the job as he was a member of the Guard and was known for his original style. Cornelis van Haarlem had already painted the officers of the Saint George Civic Guard in 1599 but Hals transformed this type of painting. 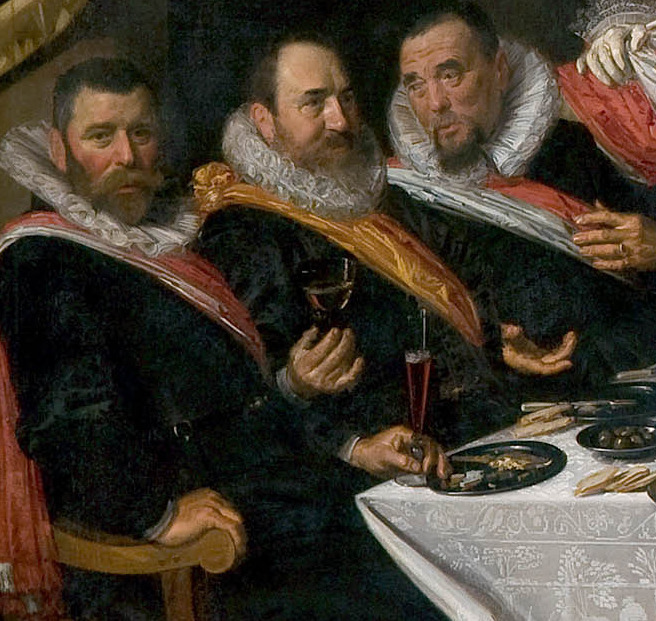 Instead of creating a series of individual portraits, Hals places them within a specific context by creating a banquet scene. He planned his composition very closely and the places each Guard occupies in the arrangement is in line with military protocol. For example, the colonel, the company's highest ranking officer, sits at the head of the table. 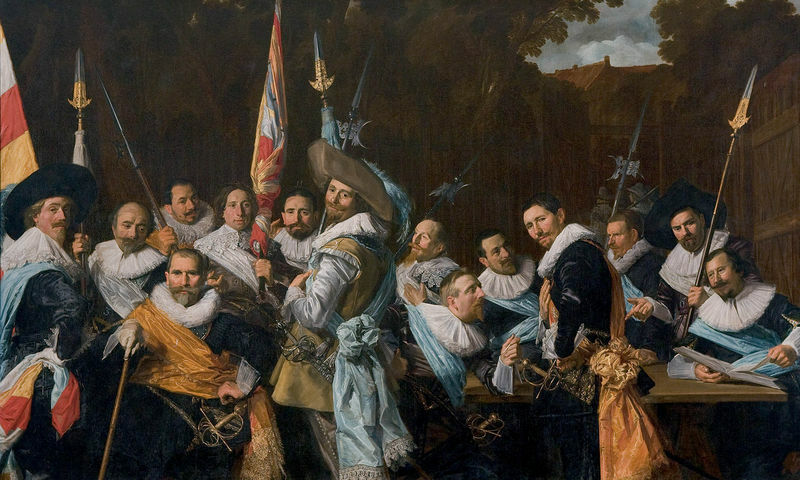 Banquet of the officers of the St George Civic Guard gives the impression that Hals has just intruded upon the banquet and the men turn around abruptly to face him. They appear in natural, relaxed poses, revealing their true selves, so we see a very human side to the group. Due to Hals' membership of the Guard and his popularity as an artist at this time he was an obvious choice of painter for this canvas. Although this was his first major group portrait, it's likely that he drew inspiration from Cornelis van Haarlem canvas of 1599. However, true to his original style, Hals characterizes each figure and depicts his subjects in a more natural light. 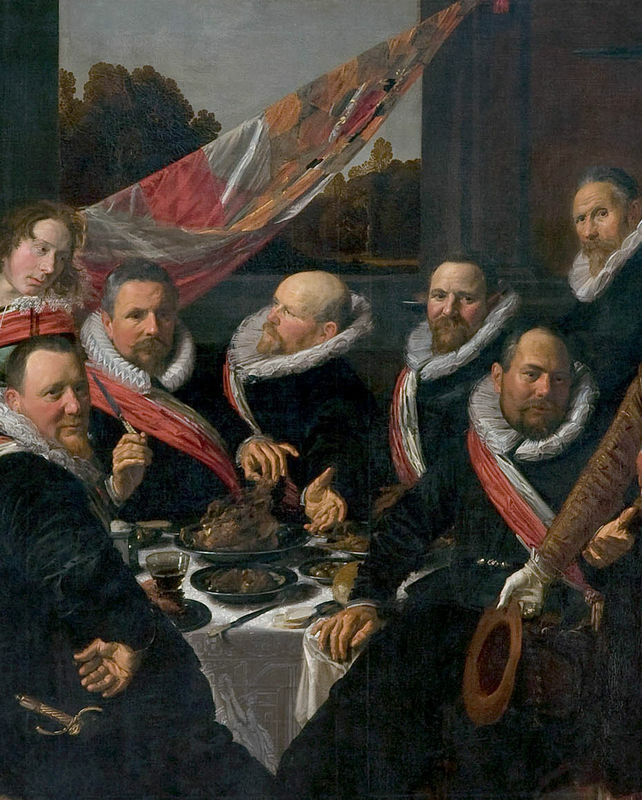 As an elite member of the Civic Guard, it can be assumed that the artist knew the sitters on a personal basis and his depiction shows that he treated each sitter as an individual in the group, noting them for the unique stature and contribution as people to the gathering. 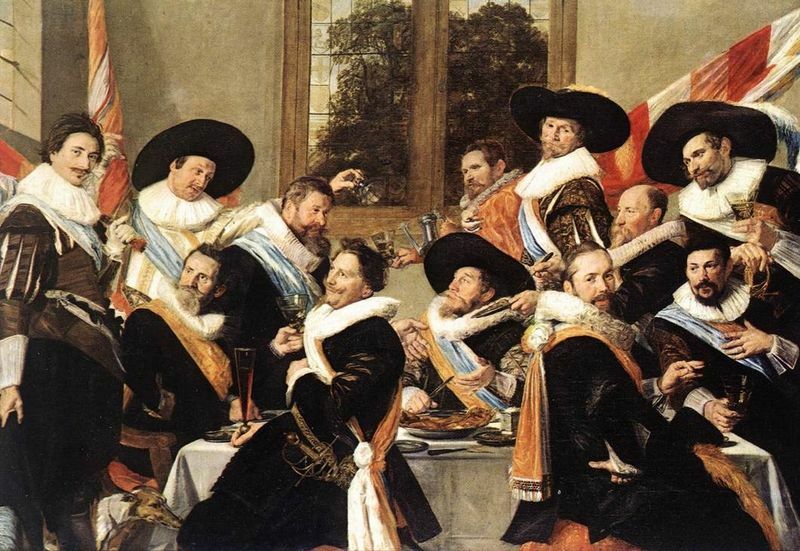 Hals has successfully depicted the realistic aspect of the banquet to a new level that breaks conventional structure in portraying the subjects as they really are. Hals painted many subsequent portraits related to this work and these are shown to the right. 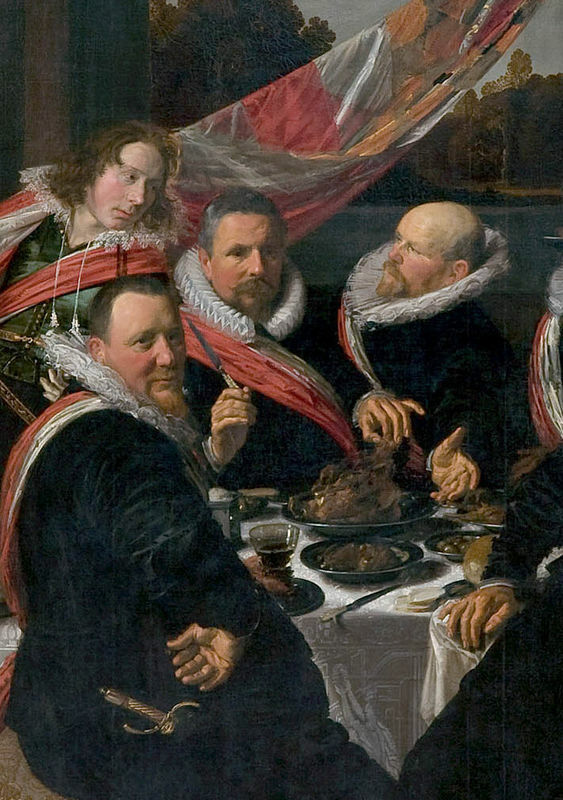 Banquet of the officers of the St George Civic Guard was Frans Hal's first main group portrait and the piece that launched his career and marked a new era in Dutch painting. 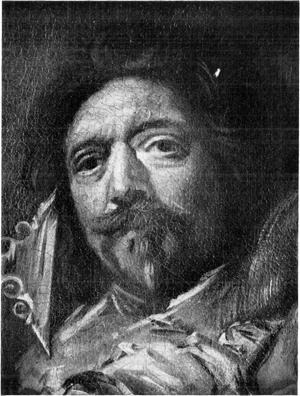 Hals was an elite member of the Guard and an increasingly popular artist so it was no surprise that he earned this commission and many subsequent works. 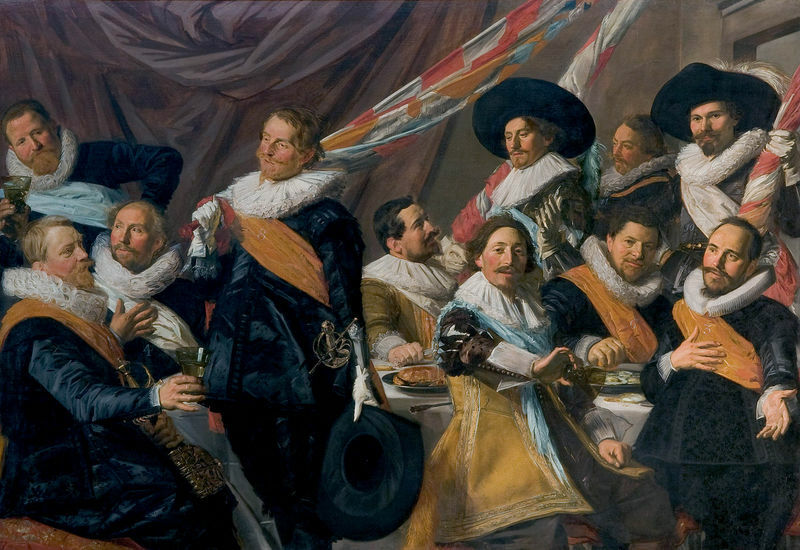 Banquet of the officers of the St George Civic Guard set Hals on the road to establishing himself as a revolutionary in this art genre, where he used color and his brush to express ultimate freedom by breaking convention. Hals was also known as an artist who fully understood his subject and was skilled in capturing the essence of his subject matter. Many Dutch schools went on to teach Hals' work methods throughout the two centuries after his death and he also inspired the Impressionist movement and it's great followers, namely Vincent van Gogh. For further information about Frans Hals and his works please refer to the recommended readin list below.